R. Scott Appleby, John M. Regan Jr. Director of the Kroc Institute for International Peace Studies and professor of history at the University of Notre Dame, has been appointed director of academic planning for a proposed School of International Affairs by Notre Dame Provost Thomas G. Burish, effective Aug. 1. An International Affairs Working Group established by Burish has examined a wide array of possible initiatives and focused its report on the creation of a School for International Affairs, which the Working Group judged to have the greatest transformative potential for the University. The group recommended to Burish that he appoint an academic director to lead discussions with faculty, assess initial fundraising possibilities and explore in depth topics such as curriculum, staff and faculty hiring. A member of the Notre Dame faculty since 1994, Appleby has served as director of the Kroc Institute since 2000. He previously served as director of Notre Dame’s Cushwa Center for the Study of American Catholicism. 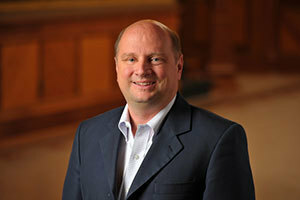 Appleby graduated from Notre Dame in 1978 and holds master’s and doctoral degrees from the University of Chicago. He and University of Chicago scholar Martin E. Marty served from 1988 to 1993 as co-directors of the Fundamentalism Project, an international public policy study, and they are the co-editors of a five-volume series of the same name. The recipient of three honorary degrees, Appleby was inducted in 2010 into the American Academy of Arts and Sciences, the nation’s leading learned society. Originally published by Dennis Brown at news.nd.edu on July 16, 2013.